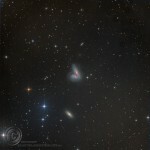 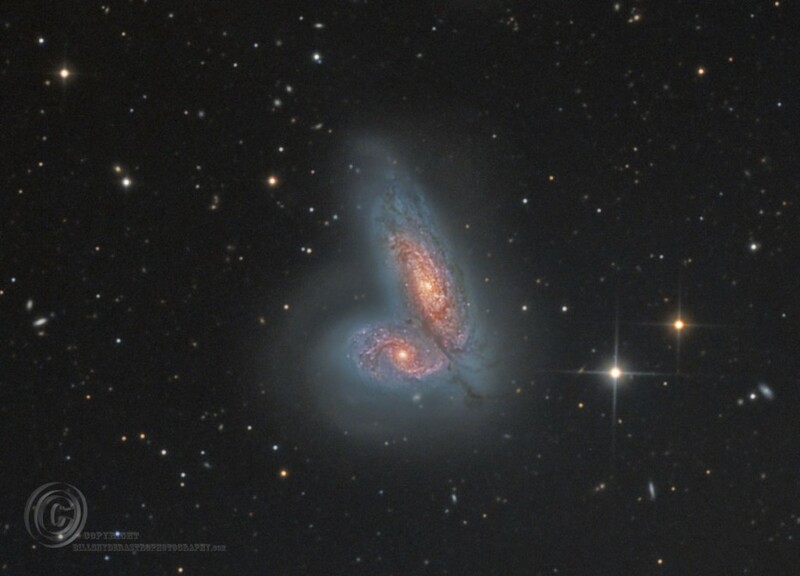 NGC4567 and NGC567 are 2 galaxy’s slowly colliding with each other. These are in the constellation Virgo at about 60 million light years away. 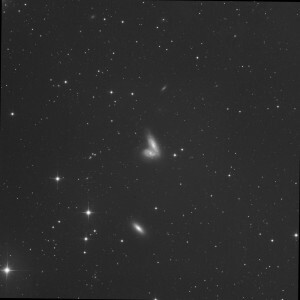 These galaxy’s are in the early stages of merging together and are gravitationaly interacting with each other, they are part of the Virgo galaxy cluster. The full size image below shows just how small this objects are in relation to the chip size of the Apogee U16 camera on the Planewave 17in scope, where as the full moon would almost fill the entire chip.